Ms Farah Sun, Vice-Principal and Head of Secondary education at Yew Chung International School of Beijing, explains the meaning of a Better Educational Environment Dynamic (BEED) visit. Yew Chung International School of Beijing opened its doors to BEED Asia in August. BEED is a specialist provider of educational solutions in Asia and consults with schools to improve their facilities and practises. Ms Farah Sun, Vice-Principal/Head of Secondary, tells Relocate Global more about the visit. BEED host a twice-annual summit for its members which involves a series of talks, roundtable discussions and school visits. This year, YCIS Beijing was asked to be involved by showcasing our newly-renovated Learning Communities. 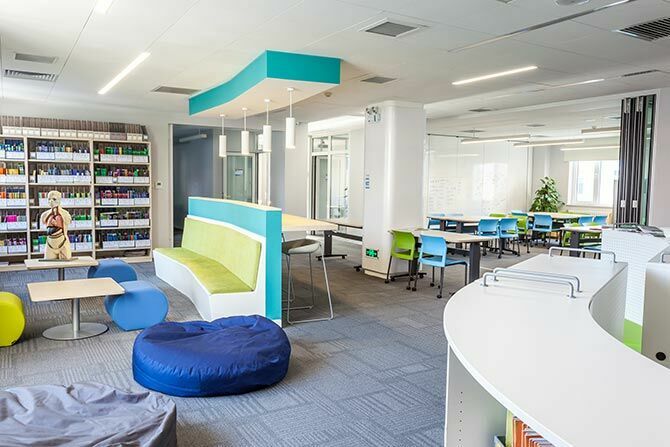 These are our open plan, multi-functional and flexible learning spaces that accommodate multiple forms and year groups. We have implemented them throughout ECE and Primary. Why did BEED choose YCIS Beijing? Our Learning Communities in ECE, Primary and now Year 1 are at the very forefront of educational innovation. They have been specially designed to meet the requirements of the 21st century – promoting key skills such as collaboration and creativity and preparing students for the future of office spaces and work culture. 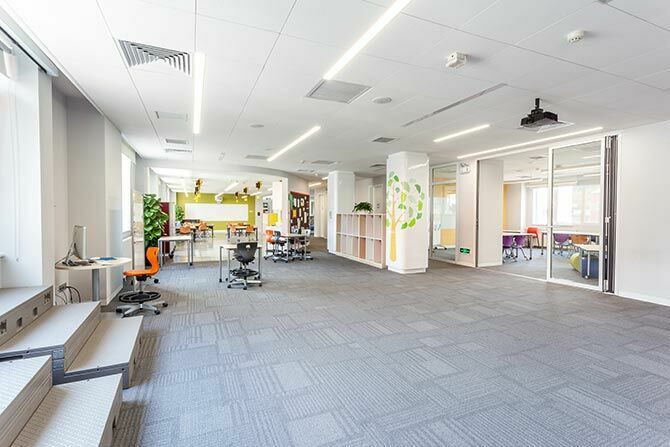 We partnered with Fielding Nair International (FNI), a leading educational space design firm, to develop these spaces which are entirely bespoke and enable a very diverse range of learning to take place within a single day. But our innovation isn’t limited to physical spaces. Our co-teaching model and bilingual programme also set us apart and make YCIS Beijing a great case study for schools looking to innovate. What do you hope that the visitors gained from their day here? I hope that our visitors were able to come away feeling inspired. I want them to see that these beautiful and dynamic learning spaces can be used in real life to teach children more effectively than in a traditional classroom. Ideally our visitors will feel sufficiently confident in our model to implement it at their own schools – not just in international schools but Chinese schools too. That would be fantastic. Relocate Global's Guide to International Education & Schools 2018 is packed with expert tips and information on education options overseas. What is your ambition for the future of Learning Communities? Our Learning Communities have been implemented throughout ECE and Primary where we are able to teach a more flexible and creative curriculum. Next, I hope that we can introduce them to Secondary while still being able to cater for the requirements of IGCSE and IB examinations.In March we held the “Reinvention: The Future Beckons” conference. How does this approach to innovation set YCIS apart from other schools?